An estimated 120,000 miles of oil and gas pipelines on American public lands are illegally going uninspected, putting our health, our safety, our climate, and more at risk. This has to stop. Stand with us as we push back and turn the tide against fracking on our public lands. Sign the petition today calling for legally required inspections and for restraint. Because uninspected pipelines are a disaster waiting to happen. Our public lands and our future deserve better. Please note, members of congress require all fields of this form to be filled out, including title and phone number. I urge you to institute a moratorium on all new approvals of oil and gas pipelines on federal lands until the safety of these pipelines can be assured, as required by the Mineral Leasing Act. The Bureau of Land Management has authorized more than 32,000 rights of way for approximately 120,000 miles of pipeline crossing more than 700,000 acres of federal public lands for oil and gas pipelines, but the Department of Transportation can confirm no record of conducting legally required inspections for these pipelines. The failure to inspect oil and gas pipelines has led to numerous incidents and disasters on our American public lands. Pipeline incidents not only endanger peoples' safety, ruptures, spills, and leaks can destroy streams, release air pollution, kill fish and wildlife, and turn public lands into an industrial disaster zone. We need restraint and we need you to protect Americans, not disregard their health and safety. 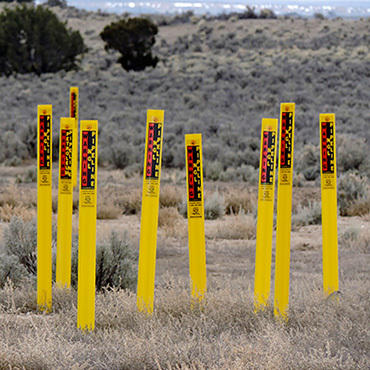 As more public lands are auctioned away for fracking, more pipelines are certain. If the Transportation Department fails to ensure legally required inspections, there is no way for the Interior Department to guarantee the safety of any new pipelines. A moratorium is clearly needed. The Interior and Transportation Departments have both the power and the obligation to ensure the public and the environment is protected when it approves oil and gas pipelines on public lands. Unless and until pipelines can be inspected and their safety assured, no new pipelines should be allowed on our public lands.